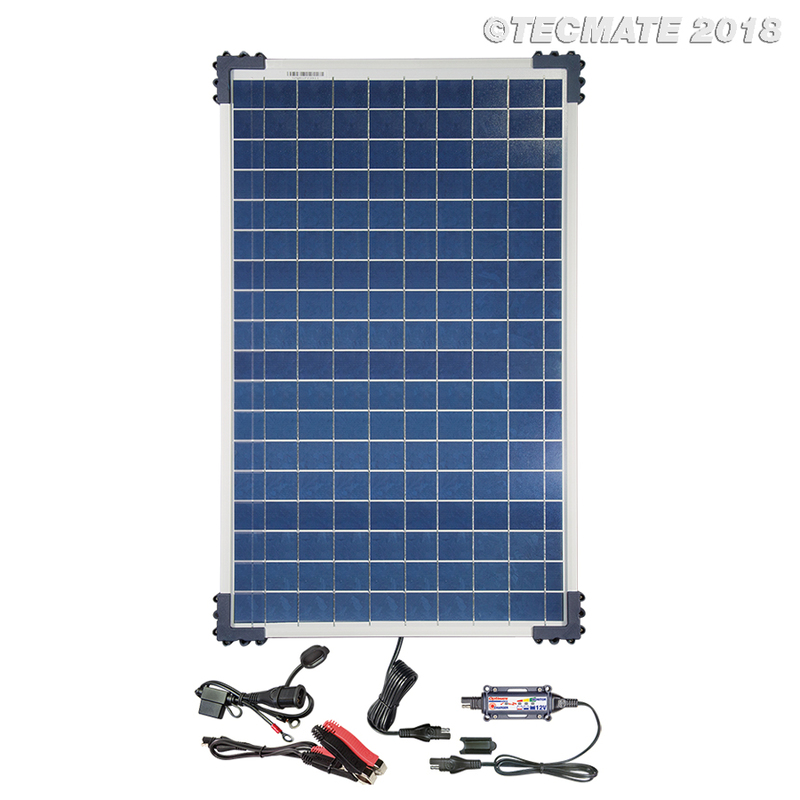 The smart OptiMate Solar system includes a 40 Watt weatherproof solar panel and a smart OptiMate Solar combination charger-monitor controller, that charges & maintains a 12V battery during the day and monitors and displays the battery state of charge at night. Saves flat batteries from as low as 1V with its unique pulse action. Fastest charge is delivered as ‘smart charge’ control selects pulse or continuous charge according to sunlight strength. Intelligent maintenance continues the next day if battery retained charge overnight, otherwise the program reverts to OPTIMIZE step. Battery condition is displayed every 3 seconds. Ready indication for STD and hi-performance AGM batteries. Draws less than 0.5mA during monitor mode. Automatically switches to CHARGE when solar power is sufficient. 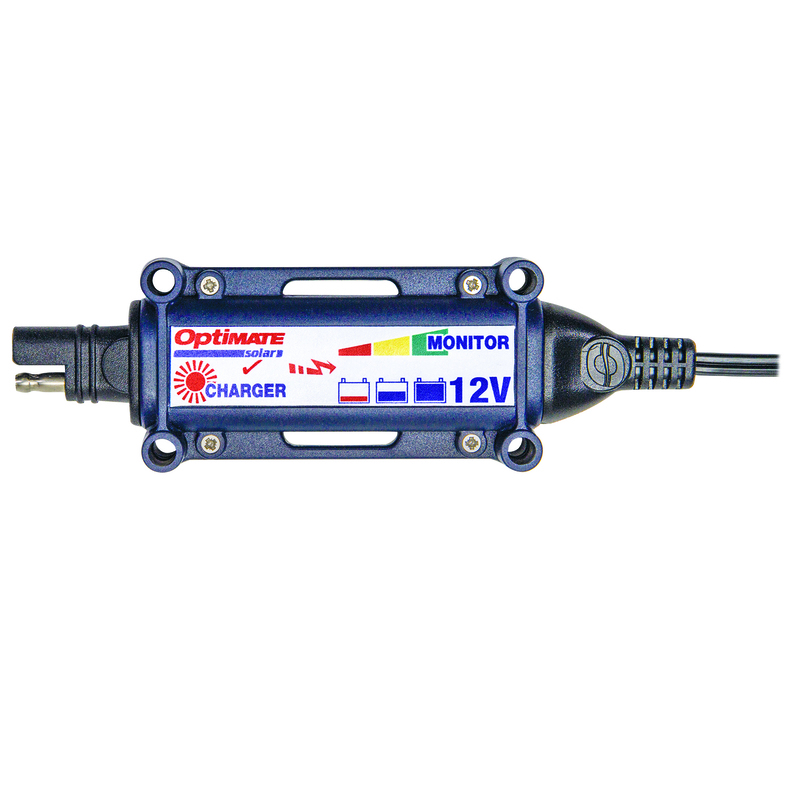 The OptiMate charger-monitor controller is separate to the solar panel and can be placed close to the vehicle or battery so that charge and maintenance progress can be easily followed. The solar panel must be mounted and angled to receive direct sunlight. The reach / distance between battery and panel is 315cm / 124″. 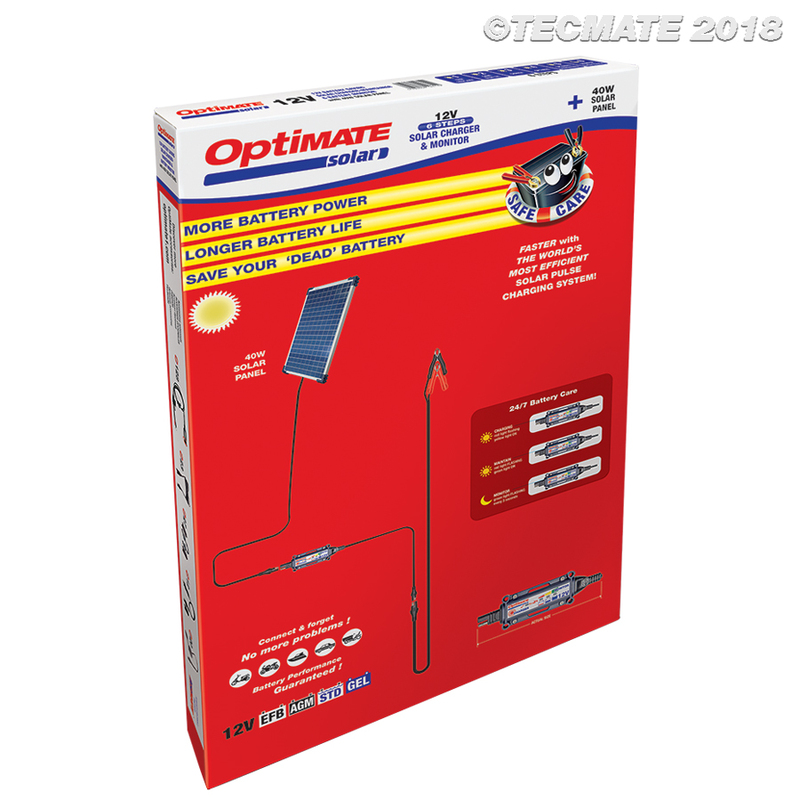 To extend, use OptiMate Cable Extenders O-03, O-13 or O-23 and insert between the solar panel and the OptiMate charge-monitor controller. CHARGING AMPS : 3.3A from 40W panel (max. average current), 3-5A pulse current. OptiMate Solar (EN): Charger-Monitor - How it works!